Why does a Personal Injury law firm handle Estate Work? Excellent legal representation requires a diverse skill set, including estate planning law. Proper legal representation of the family of someone who is wrongfully killed requires a thorough understanding about the complex interaction between personal injury law and estate law. Our estate planning attorneys work hand-in-hand with our personal injury lawyers such each of our clients, whether or not your loved one was involved in an accident, to ensure their final matters and handled with the professionalism and dignity your loved one deserves. Importantly, we don’t only handle the estates of those involved in accidents. We handle estates for any person looking to have their loved one’s legal affairs brought to a prompt, professional resolution. If you’re looking for an estate planning attorney to probate an estate, draft a will, or draft a power of attorney, give our office a call today! Call our lawyers at 814-452-6232 today for a free consultation. Our Erie, PA law firm has been helping Pennsylvanians probate their family members’ estates for over thirty years. We understand how difficult it is to lose a loved one; our law firm takes great pride in handling everything so that you and your loved ones can spend more time with your family rather than working through the mounds of paperwork. If you’re looking for a local, Erie attorney to help you with the estate process, we’d be happy to sit down and show you how we can help. The process of probating an estate is not easy and requires the care of a skilled lawyer. 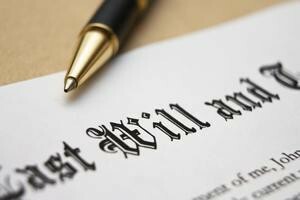 The attorneys at our law firm have been drafting wills and handling estates for over thirty years. Whether you’re young or old, it’s never too early or too late to make sure your affairs are in order. Everyone, at some point in their lives, should sit down with an attorney to make sure their estate is handled responsibly and respectfully. 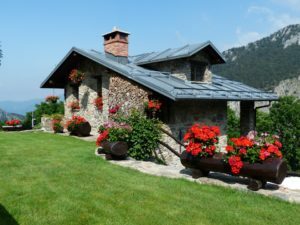 Do I need a will in Pennsylvania? Everyone should have a will. If you pass without a will, your estate is divided up through Pennsylvania’s “intestacy” statute, which is essentially the government’s “default will.” This frequently leaves your estate in unfair portions to people you may or may not want your estate going to. Moreover, after your passing without a will, your family is burdened with probating your intestate estate and fighting over distributions at a time when emotions are high and they should instead be spending time with each other. Can I update my will with a codicil? A will isn’t something you have written once and then forget about. As you get older and your circumstances change, so should your will. Your will should be written to reflect your current financial and social circumstances. If you have a will that is old or was written at a time when things were different, you should contact our firm to determine whether or not you need a new will or simply an update “codicil” to your existing will. A power of attorney is a legal document you execute that gives another individual of your choosing the legal authority to act on your behalf. Powers of Attorney can be used by other individuals to manage your finances or other affairs when you are unable to do so yourself. 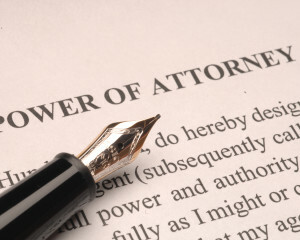 Should I have a power of attorney? Whether or not you should have a power of attorney, allowing another individual to manage your affairs, is a big decision you should not make without consulting a lawyer. While the benefits of having a power of attorney can be immeasurable, the risks can be substantial. Don’t simply print a form off the internet before meeting with an attorney to ensure having a power of attorney is right for you. 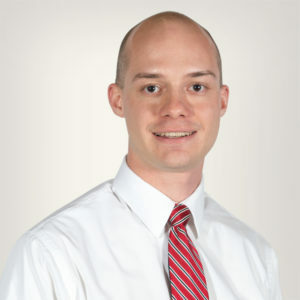 If you would like to learn more about whether or not you should have a power of attorney, Attorney Bruce Bernard has written an in-depth article on the benefits of a power of attorney: What is a Power of Attorney? Do I need one? A living will allows you to state your desires for end-of-life medical care. Living wills can greatly help doctors and your family ensure you’re taken care of when you cannot make decisions for yourself. Living wills can be useful in preventing your loved ones from fighting amongst themselves when they should be spending time together. When our firm helps you draft your will or power of attorney, we will help you determine whether or not a living will is right for you. If you’re thinking about hiring an Erie, PA Estate Planning Attorney for a will, a power of attorney, or to administer the estate of a loved one, call our office today for a free consultation at 814-452-6232.